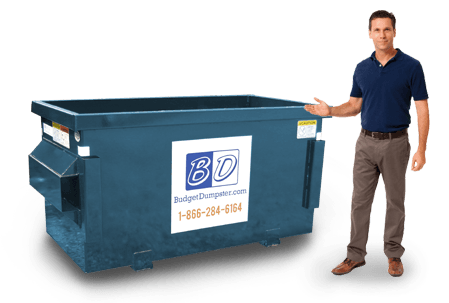 Budget Dumpster provides our customers with great rates and a responsive trash pickup service for their business. Whenever you need a commercial dumpster in the Austin area, we’re the people to see. 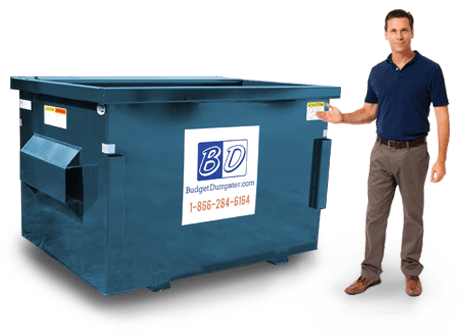 We’ll work with you to identify the unique disposal needs of your property or business, and provide expert advice for setting up the ideal permanent dumpster service for your waste stream. 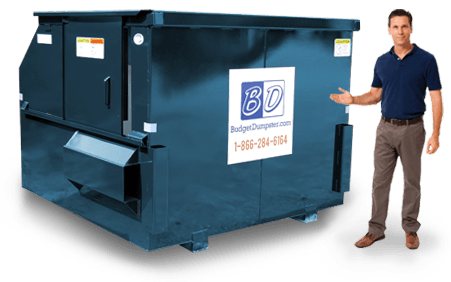 With Budget Dumpster, you’ll have your trash handled efficiently and affordably. Schedule pickups easily with our dedicated support team. Rent one or more permanent dumpsters for the length of your contract. Manage your waste stream easily and responsibly with our reliable collection services. Call for a free quote and service information from Monday through Friday. Call 833-499-7513 to set up your service today. Our customer service team is ready to help set up the right trash service for your business. Easily placed behind your business. Holds 600 and 800 lbs. of waste. A foot taller than the 2 yard option. Holds 800-1000 lbs. of refuse. Has a sliding door for easy entry. Holds 1400 lbs. of debris. 7 ft tall and has a sliding door. Holds 1400 to 1600 lbs. of waste. 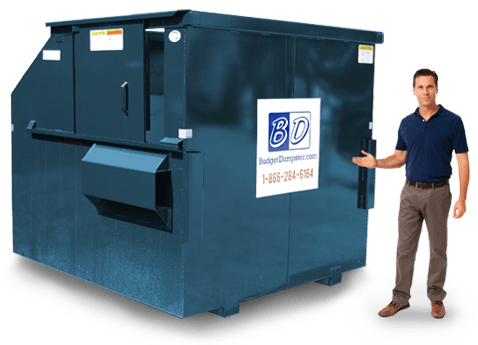 Our mission is to set your business up with a simple, reliable commercial dumpster service. That’s why we employ a dedicated service team to make sure you get the right commercial dumpster in Austin for your waste stream. And after you start receiving regular pickups, our team will provide ongoing support to ensure your schedule is meeting your disposal needs. You can request additional pickups during the week or request an additional dumpster during your busy season. We offer small permanent dumpsters, including 2 and 4 yard dumpsters, for small retail spaces and businesses occupying up to 5,000 square feet. If your business occupies a space between 10,000 and 25,000 square feet in size, we have 6 and 8 yard dumpsters that can accommodate those larger waste needs. Whatever you need to keep your waste stream manageable, we’ll make it happen.